Most people can’t take any correction until their root idolatry is praised, honored & untouched. 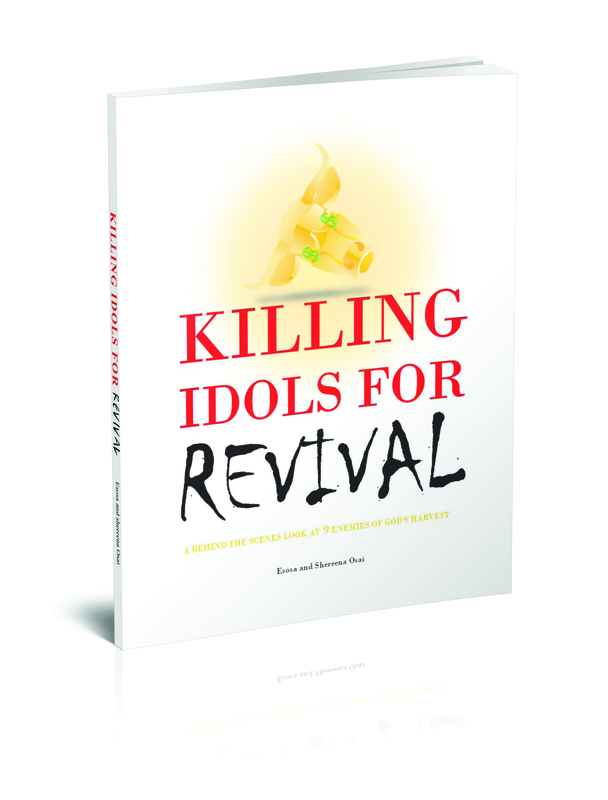 Going to the root of idolatry and demanding repentance is important, because otherwise you could be merely strengthening an idolatrous heart, and teaching them how to mask it more effectively. Friends of God are always spiritual pioneers because they follow righteousness and obey God without waiting for success and excellence to show up. They just listen and obey because its right – they wouldnt care if fortune or destiny never showed up. Thats real faith. These are the friends of God. Don’t be that guy! Don’t be ANY of these guys! Deceivers sell us a life of riches and leisure so they can steal our blessing – God gives us diligent labor and Sabbath rest in our life of blessings. Be content to work and rest in God. Loving Your Neighbor Economically::: God commands those who have wealth to create easy well paying jobs for those who don’t, and to be generous with loans and regular forgiveness of debts, to give freely to the poor, and be an overall blessing to their communities. Rich men who prey on the poor, extract every drop of profit from their markets, deal with false balances, and harm/abandon their communities are the worst of both worlds. They can outsmart men but they can’t outsmart God. When prosperous people are generous, God will continue to bless the works of their hands. When they aren’t, the whole land becomes cursed! You can’t use governments, unions, or guns to do what only LOVE can do! LOVE your neighbor economically! Paul looked like an Egyptian, but spoke Greek. Maybe because it was the language spoken of the day. They didn’t preach the gospel in Hebrew to people that didn’t speak Hebrew. Most people in the Roman Empire spoke Greek. Lesson learned: Don’t be a white supremacist Christian. Don’t be a YouTube Israelite. Just read the Bible and have faith in God, and make sure your work matches your faith so you don’t have time for silly arguments about letters and vain words. Sometimes we men feel inadequate and lack identity, so we become overly competitive because of a lack of identity or fatherlessness. This problem is especially prevalent among “black” men of a fatherless generation. Many of us are a part of the Scattered Tribes of Israel, that have lost their identity and heritage because of the sins of their forefathers and the curses of the Law. This leaves many so called “black” men susceptible to the same lies that tripped up our forefathers… the battle for cultural superiority. White Supremacist Christians provoke this envy, and Youtube Isrealites respond in kind, returning evil for evil. They have found a new identity other than slavery, which is good… but then they overcompensate by competing culturally instead of giving God glory through the Messiah. But what Bible believing followers of the Messiah have to realize is that God is not like us! He does not need to compete with other gods! He has no competition! He is not threatened by other cultures because all people came from Him, and all must come back to Him thru the gospel of Jesus Christ! If we realize our identity in God we would not feel the need to compete with other cultures, but to simply give God glory! It doesn’t matter whether you are from the Scattered Tribes of Israel, a descendant of Cush or Egypt, Asian, European based, or Native American… We all are one in Christ! How many names does God have? Some people have looked through the Bible and found that God has over 900 names and titles. Do any of these names or titles show Him disrespect? Does He only have ONE proper name, or did He give Himself several different names that covered several aspects of His character? Are any of the names of God inferior to another name that God gave Himself? What about the name that the Egyptian Hagar (non Hebrew) gave to God in Genesis 16? Is that an inferior name for God because it was given to Him by a human, and Non-Hebrew human, and a female Non-Hebrew human? Is God disrespected by a name given to Him by a mere human, and a Gentile Woman human at that? YouTube Israelites will tell you that there’s only one valid name for God, and it’s in Hebrew. But what does the Bible say? Yes Yahweh or YVWH, aka I AM, is one of His primary names, and Yah is a version of that name. But there’s also the El- based names. El-Elyon, El-Roi, El-ohim, etc. God has many names. So does the Messiah! Why was “The King of the Jews” written on the cross of Jesus Christ in Greek, Latin, and Hebrew? Probably so that 2000 years later YouTube Israelites could argue about the letter J and which language is okay to translate the name of the Messiah? No not really I’m just kidding. They lived in a multilingual society. The Roman Empire primarily spoke Greek. In Acts 21, we see that the Apostle Paul spoke Greek to the Roman guard, then he spoke Hebrew to the Jews. Multilingual. Translation is not a sin. Conquerors speak their own language, not the language of their colonies. If Jesus also spoke to a Roman centurion, whose culture spoke Greek, then how did Jesus not also speak Greek? Is it possible that Jesus spoke Greek to a Roman, like Paul did? Do colonizers conduct business in all the various languages of all the lands they take over? Or do they take their chosen language to those lands and make their colonies learn it? Let’s get off YouTube and use the bible with our brains for a few minutes. Did Pontius Pilate communicate with Jesus in Hebrew, Aramaic, or Greek? Is Translation or Transliteration a Sign of Disrespect? Taking the name of God in vain has do to with disrespect and dishonor from the HEART, not translation. It also has to do with doing evil things in His name that do not fit His character. I totally agree with destroying pagan idolatry that has crept into the Body thru the Roman Empire. However, translation is not pagan idolatry. There are so many other actual sins, false Greco Roman ideas, and false doctrines to purge from the Assembly of Believers. We don’t have to ban any languages! Translation is simply what men do to communicate with one another since the Tower of Babel. God chose to confuse our languages, but He did not tell us that we couldn’t translate and communicate with each other. The problem with demeaning other languages is that it feeds cultural pride, and Israelite cultural pride is antithetical to the gospel. The gospel went to the Gentiles for a reason! Prideful Israelites hated every minute of it, but God did it anyway. He took the gospel to every language. To the Jew first, then to the Greek, then to every other ethnic group on the planet. Ever since the veil of the temple was ripped, Israelite cultural superiority has no place in the kingdom of God! Israelites hated this, it was a stumbling block to them. They would rather keep their cultural righteousness which does not exist anymore. But in hte Kingdom of God Righteousness is by faith in the Messiah and Savior whether you call Him Jesus, Yeshua, Yashua, Emmanuel, as long as you believe He died on the cross and resurrected, His kingship can be expressed in Hebrew, Latin, Greek, or any other language! Don’t let YouTube Israelites change your faith. Yes there are a lot of scriptures that show the identity of the Scattered Tribes of Israel. I support those prophetic scriptures wholeheartedly. But none of those scriptures alter the gospel of Jesus Christ, or the way of salvation. Translation is not a sin. Transliteration simply helps people that have a different alphabet and different phonics pronounce the same word! Transliteration changes words even less than translation does! God’s name is not about an argument of words and translations. His name stands for His authority, His identity, who He is, and what He’s done for us. The faith that was once delivered to the saints brings the gospel to every tribe tongue, language and people. It doesn’t seek to demean other languages. The gospel was given to the Gentiles, and that Was GODs plan. In order to do that, God’s thoughts and ideas had to be translated to other languages. Translation is not a sin, unless there is deception of addition or subtraction purposefully placed in the translation. Translation is not sin, and transliteration is not sin either. The cross had King of the Jews written in Greek, Latin, and Hebrew. You can believe the original texts of the bible and you can trust in the name of Jesus. If the scriptures were inspired by God, and a Hebrew prophet or Apostle wrote it in Greek, then you can trust the Greek. You can trust the scriptures as long as you lookup the original language it was written in, whether it was Latin, Aramaic, Greek, or Hebrew. The Holy Spirit rested on the person, not the language. Roman religion is based on the oratory performance of professionals. The gospel of Jesus Christ kingdom is based on discipleship, multiplication, and demonstration of the power of God. Did you know that the Greek word for church, “kuriakos” is only in the bible 3 times, and only once is it referring to a building? And when it’s used for a building its referring to a Roman Pagan Temple! William Tyndale translated the bible correctly and used the word Congregation for the Greek word Ecclessia. For that he was killed by the Roman pagan Church. Ecclessia = assembly or congregation. Kuriakos = church. Therefore to turn ecclessia into kuriakos is a deliberate mistranslation. When William Tyndale corrected it, the people who purposefully mistranslated it killed him. Even King James changed it back to Church instead of Congregation, to keep the confusion strong because he wanted control over the Body. The church of England also persecuted house-to-house congregations. Its more than a matter of context clues, its a matter of the purposeful deception of the State sponsored Church. The Body of Christ was never meant to use State power to rule over men. This is the meaning of the deception. It’s not a debate about the words, its about understanding the MEANING behind the words.